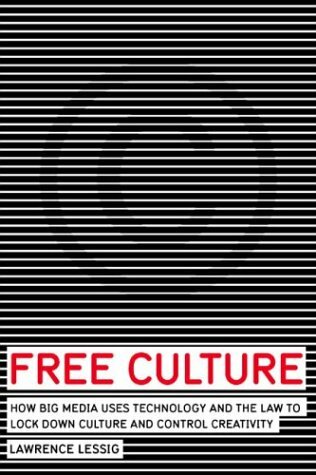 "How Big Media Uses Technology and the Law to Lock Down Culture and Control Creativity". Lawrence Lessig shows us that while new technologies always lead to new laws, never before have the big cultural monopolists used the fear created by new technologies, specifically the Internet, to shrink the public domain of ideas, even as the same corporations use the same technologies to control more and more what we can and can't do with culture. As more and more culture becomes digitized, more and more becomes controllable, even as laws are being toughened at the behest of the big media groups. What's at stake is our freedom-freedom to create, freedom to build, and ultimately, freedom to imagine.